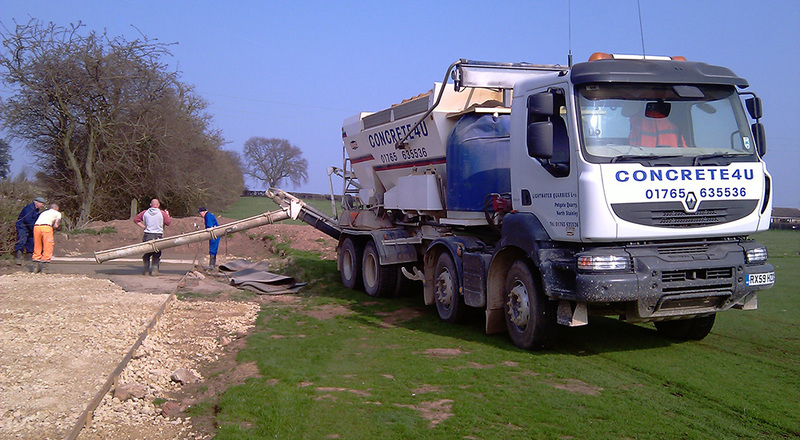 Concrete for a farm yard usually needs to have a high cement content as the heavy traffic from big machinery as well as animal waste can cause damage to the surface of the concrete. Although we do not lay concrete we can certainly offer advice on how to lay concrete to ensure the longest life and best finish and also offer help in making sure our customers get the right concrete for the job. 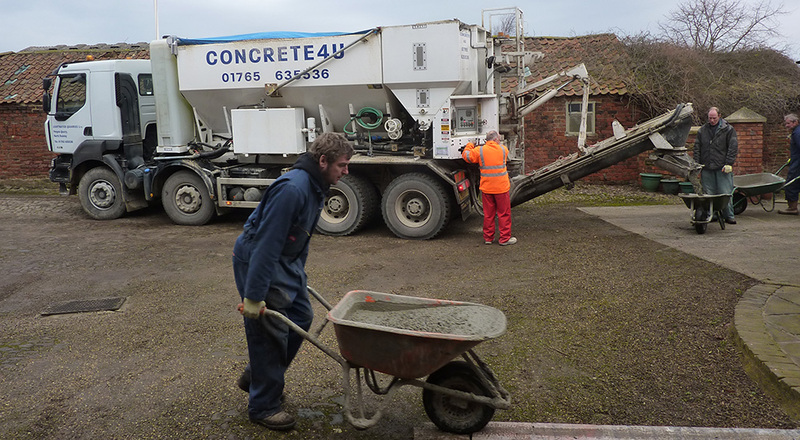 One of the most common requests we get for farm yard concrete in Harrogate is something than can cope with tractors and shoed horses. If a horse is shoes the metal shoe can cause damage to concrete over time but we can advise on the right material for the job. Also we can supply poly fibres for the concrete which help protect the surface and ensure the longest life from the concrete, just ask us for more information! With our mix on site wagons which can carry up to 9m3 and our mini-mix drum no job is too big or too small, we can cope with larger pours as well as small load deliveries, which are our speciality as the mix on site wagons can change mixes and workability so easily that they are normally buzzing round from site to site doing various drops and mixes from the same load. We pride ourselves on our service and quality so give us a call and we will do our best to help.